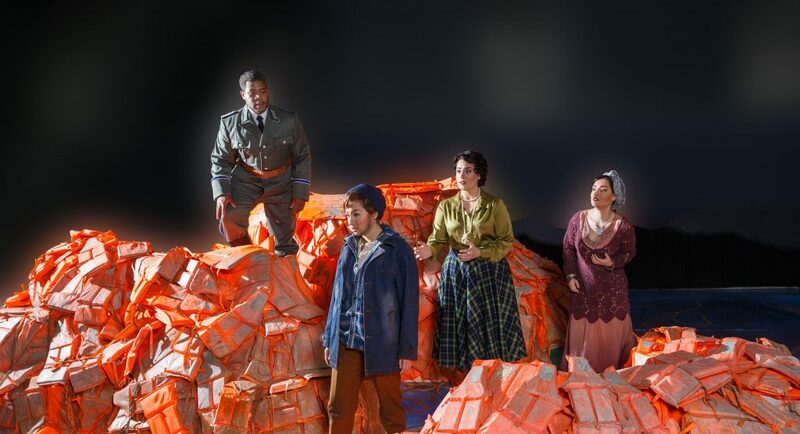 1) Pittsburgh Opera premieres a streamlined version of an old epic with AfterWARds — Mozart’s Idomeneo Reimagined. First staged in 1781, Idomeneo was a major success for Mozart, richly displaying his musical brilliance. But it has become a problem child in the opera world. The libretto (by Giambattista Varesco) is long and clunky, and even with cuts that Mozart himself made, a full production can run about four hours. So Brooklyn-based opera director David Paul has done a “director’s cut” that hones the rambling saga down to an 80-minute psychodrama. Paul’s AfterWARds focuses on the passions and conflicts among the story’s four key characters, keeping all of Mozart’s music for the portions used.